Yeah thats right missions success! I went to Target yesterday doing my usual “I’m looking for something but I don’t see it on the shelves but I have the number can you look it up for me?” routine. And it worked! I’ve taken some pictures of things like size comparisons and accessory swapping. Also do you want to know what the 18 Dart Clips look like on their tactical vest? Then hit the jump for the rest of the pictures! 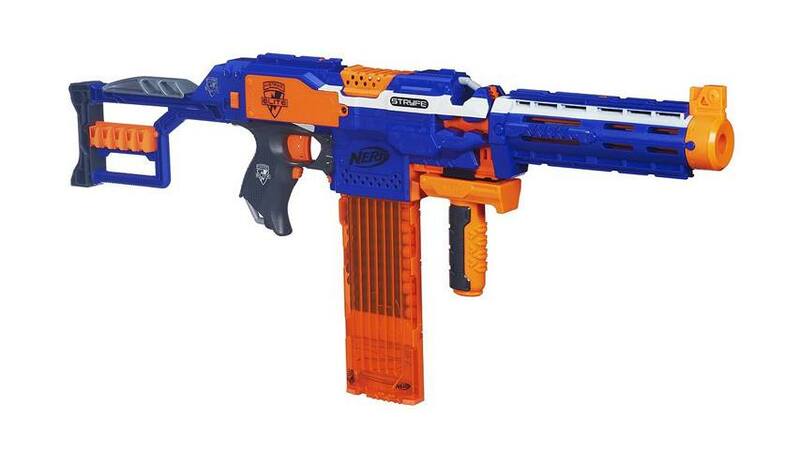 When is comes down to it, what do we want most in our Nerf Guns? It’s just gotta be accuracy right? Without that, your not hitting anything. Don’t get me wrong, rate of fire is nice as well, but at the end of the day can you make your gun hit the target? If not, then maybe your not using the correct gun. Different guns have different uses, but if you want accuracy, then any one of the three guns below should do the trick. Take two on this mission and I succeeded! Like the picture shows above I bought two, one for me, and one for a cousin on mine whos birthday was in July. I must say this is quite the handy piece of equipment. It feels like a shotgun, where the Raider felt like an assault rifle when I had it. 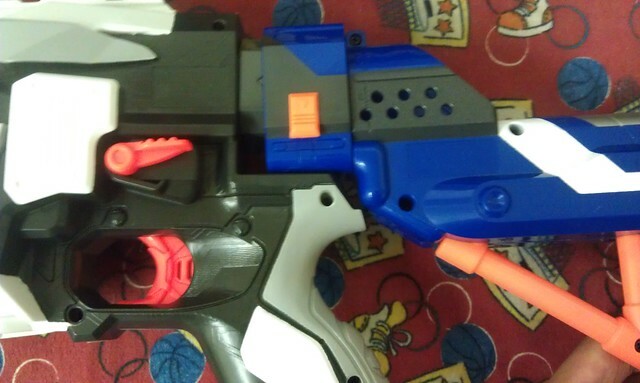 I’ll have to do range and accuracy checks later, but haven’t ran into any jamming yet. It’s quite light, but it may feel awkward to most at first, just like it did to me. 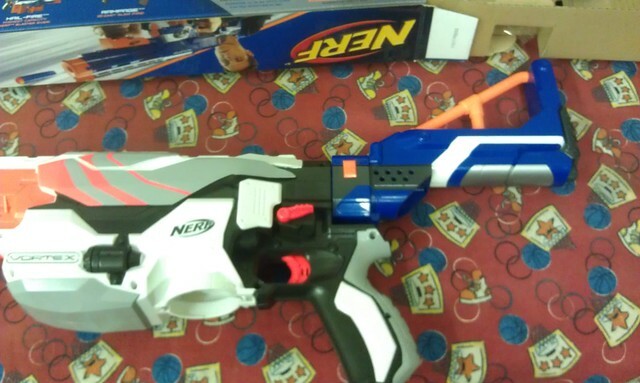 I’ll play a good amount of Nerf on Saturday, and then write up a review on this gun. Hit the jump for 4 other pictures of the gun and comparisons. Vigilante Edit: Hit the jump again for Raider/Alpha Trooper part swaps, size comparisons and more. Just goes to show how accurate the Maverick is. Just showing a video that there are Nerfers overseas! These guys are from Brisbane, Australia. There just showing you there inventory and asking Australian Nerfers to come together and Nerf. And yes there stock guns, but thats not the point. Here them playing a little bit in the land down under.